It’s no secret that throughout the entire country the consistently lowest television ratings for the Winter Olympics are in the Southern part of the United States. 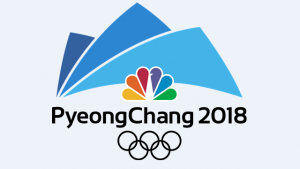 It doesn’t matter how many annoying commercials the networks have for the Winter Olympics or even the various commercials associated with the event that may be played on a 24 hour loop; here in the South, television ratings for the Winter Olympics will be practically nonexistent. Because “we” can’t and don’t relate to any of the events in the Winter Olympics. EDITORS NOTE: No need to thank me…. Since there will be little else on television for the next two weeks I feel under some obligation to alleviate the stress and confusion for my fellow kinsmen (And women) in the South, so with that in mind I have painstakingly prepared the comprehensive guide to the Winter Olympics for Southerners. For those of you that live in an area of the country that only has two seasons; 4th of July and Winter. I can assure you that this article will not be helpful to you. Or for those folks that live near the Arctic Circle (Michigan, Ohio, and Maine etc) that spend the weekend with their children clubbing baby seals and posting the video on the book of faces, then this article isn’t for you either. I understand that we have several northern visitors living in the South and who could blame them? I am sure this article isn’t written for you because you have some basis of knowledge of the Winter Olympics and their sporting events before you fled South in search of lower taxes, religious tolerance and good barbeque. I also understand we have several Southern Brothers and Sisters who are POW’s (Prisoners of Work) living in the dark, cold dreary confines of the north. This article will enlighten you, and provide you with valuable “water cooler” fodder while at your place of employment and provide you some commonality with your northern captors as you attempt to understand their strange accents and dialects. There are just too many “events” during the Winter Olympics to dissect here in this article, so we will look at just few of them and describe those in terms that we Southerners can understand. I am not saying it will enhance your viewing pleasure but at least you will have some understanding of what all the hullabaloo is about. Every event in the Winter Olympics involves snow and ice and that already puts us Southerners at a disadvantage. Because not only do we not “get it”, but when we do get it we stay indoors, off the roads and certainly aren’t outside trying to “invent” some ridiculous “sport” to engage in. EDITORS NOTE: In all fairness to our northern brothers and sisters, when you have winter eleven and half months out of the year I suppose you have to figure something out to occupy your time other than chewing whale blubber. Here are a few of the events this year in the 2018 Winter Olympics that we will discuss. Don’t be nervous, I will break them all down for you so you will understand them. CURLING: Much like you I “don’t get it” either. A guy or a gal with a broom is sweeping their collective asses off while a rock slides across the ice. Imagine for a moment “if” you got your wife or significant other to watch this with you? You could gently (O’ so very gently) turn the conversation to something like this…. EDITORS NOTE: I would suggest, you wear some element of “protective” gear before you make that suggestion to your spouse, just to be on the safe side. ICE HOCKEY: Let’s be honest; the only connection any Southerners have with hockey is Michael Myers and the “Halloween” movies. I know, I know what you are getting ready to say…..
That is true, and those were established for our northern neighbors that have come to live with us so they will feel at home and before you ask, “yes” we are indeed that nice, kind and considerate. But the fact of the matter is, it’s hard to follow a sport that really doesn’t have any rules and when they interview one of the toothless gibbering players after the game, match or whatever it’s called, it’s like you were transported in the middle of a family reunion in Hazard Kentucky. Ladies, I hate to interrupt the tirade you are currently preparing to send me on email over my earlier comments about curling, but I do have a very useful suggestion for you all. After watching some of the Olympic Hockey coverage why not say this to your husband, boyfriend, love monkey or significant other. He will quickly respond from the recliner with wide eyed amazement….. EDITORS NOTE: You ladies throw in a couple of extra “Sugar’s” in there and mention something to him about ending up in your “Penalty Box” when he is done and those azalea and magnolia leaves you have been complaining about since October will gone in a flash. FIGURE SKATING: I know a lot of Southern ladies enjoy watching this particular event because of the glamour, the dancing and the like, and I also know us men also like watching women in tight outfits, wearing glitter and dancing around. I certainly don’t profess to speak for all Southern men here, but I will say from personal experience that watching women dance in glitter and tight outfits is best enjoyed at the “club” near the interstate, between the truck stop and the slaughter house off of exit 343. But there is common ground here that we can all agree upon. Not a damn person on earth knows how in the hell you “score” something like that, including the smug Romanian judge that always acts like he knows his business. So since nobody understands it, why not be honest and let’s enjoy it, what do you say? Every time a commentator says “Tummy” or “Tuck” or “Axel”, “Triple” or “Rotation” or for that matter other phrase you don’t understand, to include “double twist goober snooker” take a drink of your favorite adult beverage. That’s exactly right! Make it a wonderful drinking game! (The “official” tire of the 2018 Winter Olympic Games). “IF” you have reached the stage that you can no longer name all of the original Mercury 7 astronauts, then you are intoxicated, so change the channel. “IF” I want to watch a man in tight pants dance and spin around then I will watch an Elvis movie on Turner Classic Movies (TCM). SKI JUMPING: Let me explain this “sport” in simple terms…..
A guy or gal or whatever has skis on their feet and they go down a long ramp as fast as they can, then once they fly off the end of the ramp, they travel in the air as far as they can before they land on some frozen pile of snow. EDITORS NOTE: I know, it doesn’t make any sense to me either….. Remember when your cousin Jimmy dropped out of Clemson last year and came down to visit you from Spartanburg? Then after the Clemson – Florida State game you found him on the roof of your house all liquored up with your new water skis on his feet and your daughters “My Little Pony” bicycle helmet on his head. THE LUGE: First things first……. It’s important to know “How” to pronounce this Olympic event…..
Other than that it’s just somebody on a sled flying down some hill, but without having to dodge parked cars and oncoming traffic, which I personally feel would make the “sport” far more entertaining to watch and enjoy if they would make those changes. BOB SLEIGH: What you will see here is some people pushing a box like “sled” down some icy surface and then they all jump on it and ride down some man made hill, presumably to see who got down the hill the fastest. Two summers ago when your nephew from Mendenhall Mississippi, you know the one who works in the poultry plant, was driving that old pickup truck that he refuses to get rid of came to visit you and once again the damn thing wouldn’t start. Remember how you and two others pushed it down the road until he popped it in gear? Then once it started you all jumped on the tailgate and drove down the road. Yeah, this sport is a lot like that but without the cussing and the alcohol and the ice. Since people that live near the Arctic Circle can’t swim or enjoy the many lakes in their area, due to the two weeks of summer they enjoy each year, they have their own form of “water skiing” which involves skiing down frozen hills etc. I agree with you, and that is why I have written the Olympic Committee and made the suggestion that they “modify” the event to make the necessary changes to this sport. Instead of skiing down hill and dodging flags and bendable poles why not place immoveable concrete barriers and other obstacles on the skiing course? How about having some rabid raccoons loose on the hill? These are but a few of my suggestions to make this sport more exciting for the viewers and challenging for the competitors. And let’s be honest here, what’s the excitement in going fast all by yourself? Even the drivers of NASCAR must avoid each other and the crashes on the track to win the race, so why NOT make this sport something we can all relate too? I hope this article has enlightened your viewing pleasure of the Winter Olympics and given you some basis of knowledge and commonality when it comes to this strange phenomenon that takes place every four years. No need to thank me dear friends, it’s what we Southerners do for one another.